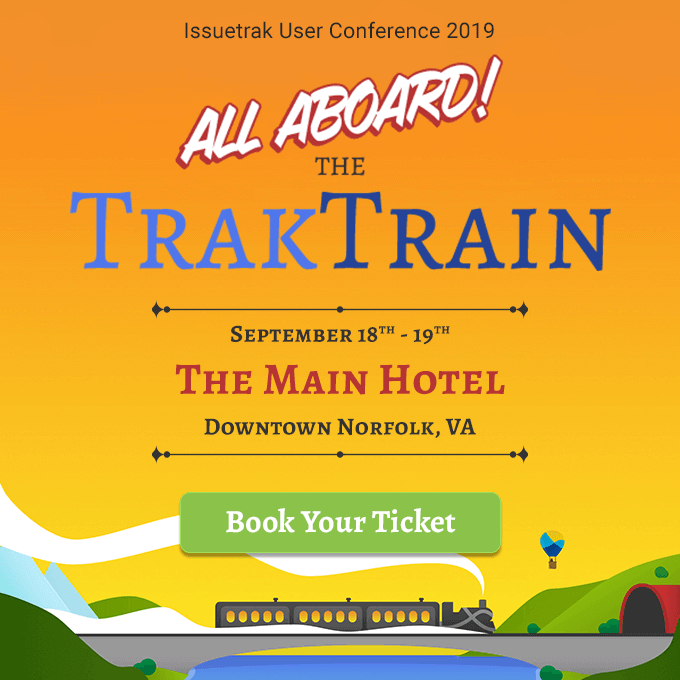 We're thrilled to officially announce the 2019 Issuetrak User Conference, taking place on September 18th and 19th! We had a great time hosting our first ever User Conference in 2018 and are ready to do it again this fall. Change happens. No matter what industry you work in, you’ve likely dealt with change at your organization -- whether that’s something major like working with a new software application or something more small-scale like switching from paper cups to ceramic mugs. At Issuetrak, we’re always striving to give our customers the best possible experience. We wanted to take a few minutes to provide an update on the latest improvement we’ve made to Issuetrak Cloud: the integration of SendGrid for Outgoing Email. You’ve done the research, weighed your options, and finally decided which Issue Tracking software you want to purchase for your organization. Now you face another important decision: do you host the application via cloud or on-site? In previous blog posts, we’ve discussed the importance of communicating with your customers to better understand their needs and expectations. One of the best ways to do this is through a customer survey. Surveys provide a platform for gathering essential customer feedback. When crafted and presented effectively, they are powerful tools that help to identify your company’s key customer service strengths and pinpoint its weaknesses. You want to help your customers as much as possible, but customers often prefer to help themselves. Rather than call a number or send off an email to get an answer from a support team, a growing number of consumers would rather take matters into their own hands. About 53 percent of online adults in the U.S. will abandon an online purchase if they can’t find an answer to their question fast enough. Younger generations frequently turn to the Internet for answers before picking up the phone: 89 percent of Millennials reported using a search engine to find an answer prior to calling customer support. It can be tempting to put the bulk of your company’s resources and effort into courting new customers, but some of your most valuable relationships are with the customers you have already. Your company is 14 times more likely to sell to an existing customer than it is to sell to someone new; additionally, it costs between 5 and 25 times more for a company to lock in a new customer than it does to retain a current one. Satisfied, happy customers also have stronger brand loyalty, spend more money, and are much more likely to spread the word about your business.